Library Design Update Kicks Off! 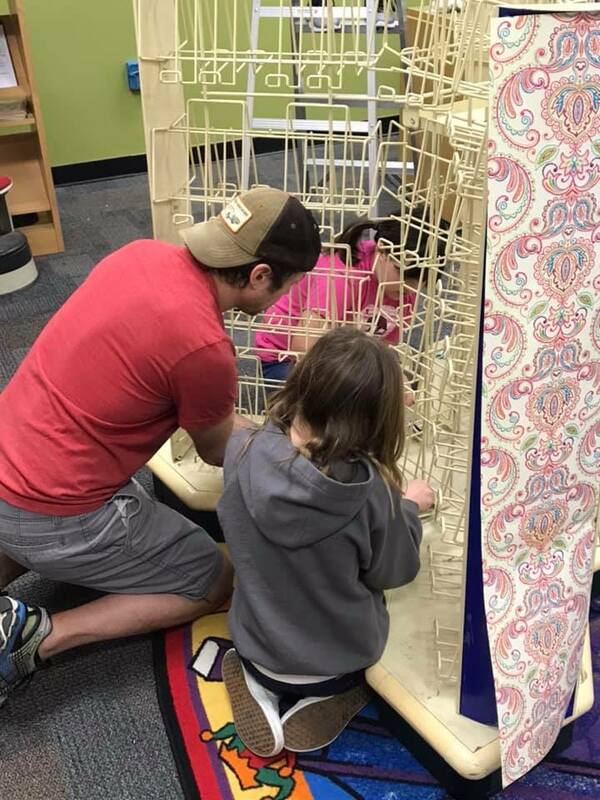 Last Saturday we hosted our first parent work day to kick-off the library design update project. And oh boy did we get a lot done! A lot of painting that is. 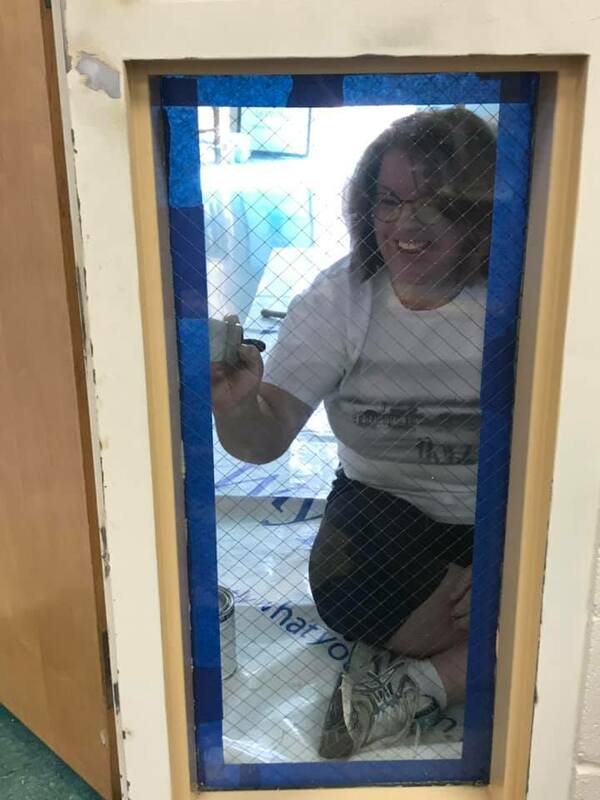 Parent volunteers and Mrs. Criswell spent several hours during two shifts on Saturday painting the walls in the library, as well as transforming the walls in the lobby. The entryway to the library and some interior walls in the library were painted a deep blue color to simulate a kind of camping under a night sky atmosphere, which will be a part of the theme in the story time area of the library. Four walls in the lobby - the ones where the house dragon posters hang - were also painted. These walls were transformed to represent the four house colors of Dan Mills. And what an impression they make! Students were so excited on Monday morning to see the fun house colors now adorning their lobby walls. These house colors will also be incorporated in the library design update, so stay tuned for some more fun things happening in that space. The painting was just the first part of our library design update - the project we’ve been talking about for months - so it’s so exciting to have this project underway! A BIG THANK YOU to Mrs. Criswell, Michelle Godby and all the parents who came out to help make the work day a success. You’ll have to take a visit inside the school to see what the fuss is all about. Or, better yet, sign up to help during our next parent work day on Saturday, April 13! How's This for a Family Service Project? Is your family looking for a fun service project that has you working together to better something in your community? Well we have just the thing for you! This opportunity is a great way for families to give back to our community AND be involved in the updates at our school. If you want to be notified when parent work days are scheduled, submit your email below.